ISLAMABAD: The Supreme Court on Friday asked the Pakistan Tehreek-e-Insaf (PTI) on Friday to find a way to resolve the boundary dispute between Khyber Pakhtunkhwa (KP) and Gilgit-Baltistan (GB). A three-member bench of the top court sought viewpoint of KP Chief Minister Mehmood Khan about an out-of-court resolution of the boundary dispute between GB and KP under Article 184(1) of the constitution. The bench, headed by Chief Justice Mian Saqib Nisar, took up the two-year-old constitutional petition of KP for the settlement of boundary dispute. Additional Attorney General Sajid Ilyas Bhatti informed the bench that most issues had been sorted out but the people of GB had concern over two spots of the disputed area. The chief justice noted that on August 15, the advocate generals of KP and GB sought time to resolve the matter. Additional Advocate General KP Waqar Ahmed stated that the Council of Common Interest (CCI) could resolve this issue under Article 157 of Constitution. The chief justice observed that the PTI was the ruling party in KP and at the Centre; therefore, both the Federation and KP should find an out-of-court settlement of the dispute. When Waqar Ahmed requested the court to decide the matter under Article 184(1), the chief justice asked him to submit within 10 days written instructions from the KP chief minister, requesting the Supreme Court to resolve the dispute. On October 8, Justice Nisar asked the deputy attorney general of GB to clarify that the GB government had no objections to the construction of the dam; but due to the constitutional limitation, the issue of royalties also emerged. At this, the chief justice said that GB could challenge the matter of royalties in the Supreme Court. During the day’s hearing, Justice Ahsan said that the main issue at the moment was that of the royalties. He added that one of the turbines of the dam would be installed in GB and another in KP. 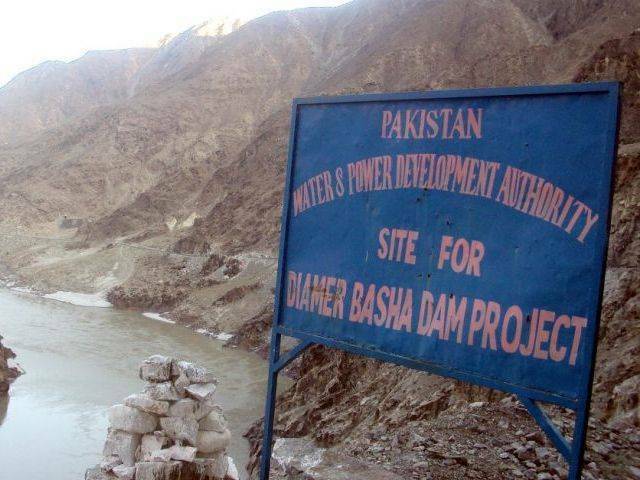 The boundary dispute at the site of Diamer-Bhasha dam between the residents of Diamer and has deepened with tribes on both sides refusing to budge from their positions. The Harban tribe of Kohistan and the Thor tribe of Diamer claim ownership of a piece of land spanning over eight kilometres in Gandlo Nala area, where the dam’s power plant has to be installed. The dispute turned violent in February 2014, when seven people died in a clash between the two sides. Earlier, the KP Assembly had passed a resolution claiming that the eight kilometres of land on the right side of the Diamer-Bhasha dam is a part of KP. The move infuriated the political leadership of GB, who constituted a committee of all the sitting lawmakers from the Diamer Valley. The committee traced documents signed between the representatives of Kohistan and Diamer in 1947, which had declared the land as part of Diamer. The SC has ordered for the making of payments to house job doctors at PIMS Islamabad. The court further ordered if the stipend is not paid till 10th of every month then action will be taken against CEOs of the colleges. A three-member bench of SC presided over by Chief Justice of Pakistan (CJP) Mian Saqib Nisar took up the case for hearing. The counsel for the petitioner said that 370 medical graduates were doing house job and not a single penny was being paid to them. The SC has directed the Lahore High Court (LHC) to give a verdict in a case pertaining to the shifting of responsibility of the hospitals operating under the federal government to provinces within a week. A three-member bench, headed by Supreme Court Chief Justice Nisar, conducted hearing of the case regarding the 18th amendment. Under the amendment, the charge of many hospitals was supposed to be handed over to the provinces. The applicant Hamid Khan told the court that the case is under proceeding in the LHC. The court adjourned the hearing until January 3.